Earlier this year, a television journalist Santanu was also shot dead in the same region. He was lynched in September while covering the violent Indigenous People's Front of Tripura (IPFT) agitation. 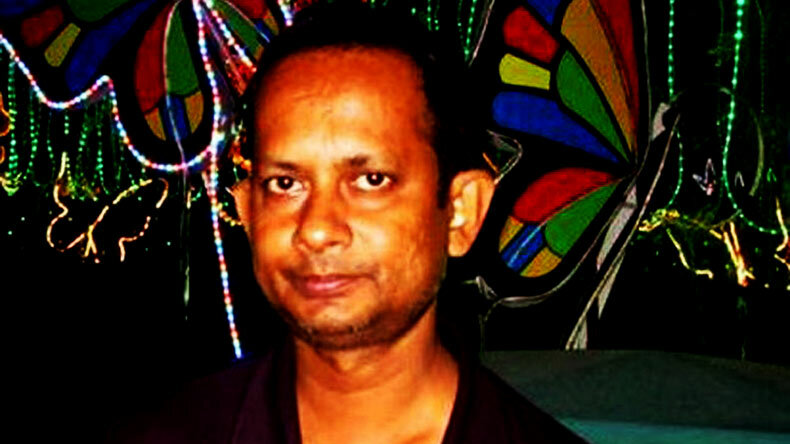 Senior journalist Sudip Dutta Bhowmik was shot dead by a rifleman at point blank range on Tuesday evening. Sudip Dutta, a crime reporter working for a Bengali daily Syandan Patrika was shot dead inside the Tripura State Rifles camp. The place is in RK Nagar in the eastern part of capital Agartala. The journalist was in Tripura State Rifles camp to cover a story where he was attacked by a rifleman from a very close range. The journalist was immediately rushed to a hospital where he was declared brought dead. Sudip Dutta was visiting Tripura State Rifles camp of the second battalion camp to meet the chief. According to reports, he got into an argument with the TSR personnel which led to the shooting. The senior journalist is survived by two children and his wife. Earlier this year, a television journalist Santanu was also shot dead in the same region. He was lynched in September while covering the violent Indigenous People’s Front of Tripura (IPFT) agitation. “He (Sudip Datta Bhaumik) was shot by one Rifleman Nanda Reang inside the 2nd Bn Tripura State Rifles headquarters following some arguments. While a forensic team has visited the spot, post-mortem examination of the deceased has been conducted on camera,” Abhijit Saptarshi, SP of the West district informed The Indian Express from Agartala. West Bengal Chief Minister Mamata Banerjee on Tuesday condemned the “brutal killing” of journalist Sudip Dutta Bhowmik in Tripura. “We strongly condemn the brutal killing… My condolences to the family,” Banerjee tweeted. The Journalists’ Forum Assam (JFA) also strongly condemned the murder of a journalist in Tripura and urged Chief Minister Manik Sarkar to take serious note of the incident. “It (killing of Sudip Dutta Bhowmik) is very much shocking and frustrating,” a JFA statement said. Expressing solidarity with its Agartala counterpart and also conveying condolences to the bereaved family, the Nagaland-based Press Club urged the Tripura government to take up the case with all sincerity and seriousness and perform a thorough probe into the killing. According to Press Council of India data more than 26 journalists have been killed in northeastern Indian between the year 2002 and 2014.